To those wondering how on earth do we hop from one island to another, see the photo below. The majority of our stuff is hidden safely inside the boat. It's ok to leave them behind since crew members sleep there at night. We were given instructions few days before the trip to bring a separate (dry) bag that contains all the essentials we need while on the island. Please refer to the list on part 1 of this post. You have an option whether to swim or ride a kayak to the shore. 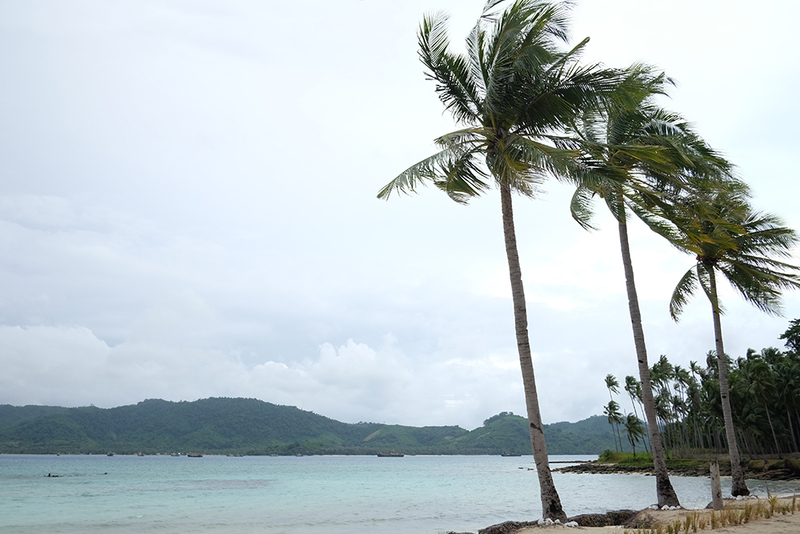 We weren't able to do that much on the island since the weather wasn't cooperating. The bad weather was brought to us by the tail-end of Super Typhoon Haima (locally named as Lawin) that passed by the Philippines last October 2016. I tried snorkeling because there's a small shipwreck (as mentioned by the locals) roughly a hundred meters away from the shore (see lower left part of the picture). 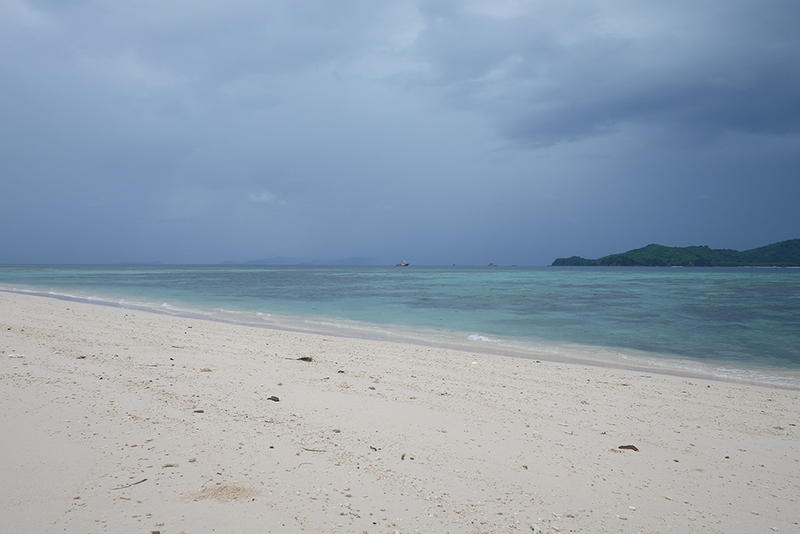 I did not stay long, though, since I spotted a few jellyfish and hundreds of sea urchin below. 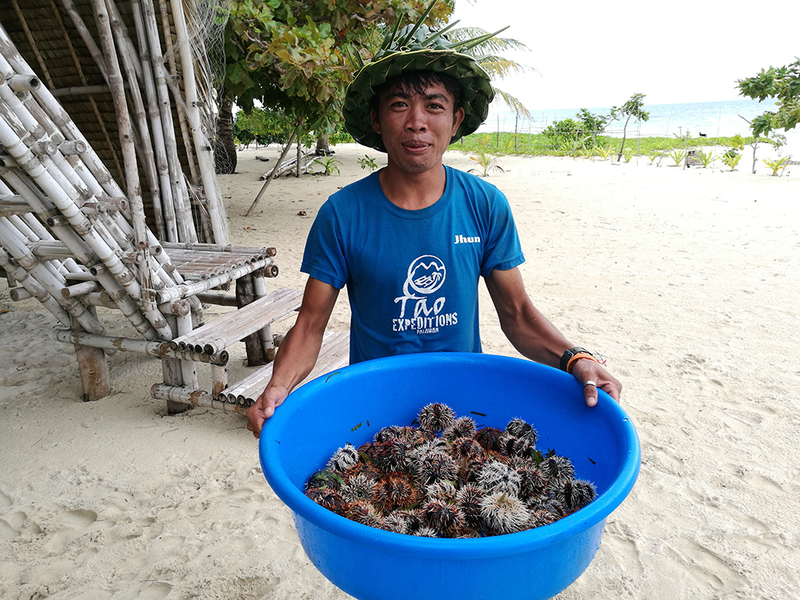 Speaking of sea urchins, one of the Tao crew read our minds when he got us a batya full of them! I'm not exactly sure what type of sea urchin are those and I didn't really care anymore because I LOVE ALL THINGS UNI. Since there weren't any activities left to do, all of us basically just chilled and shared stories with the rest of the group. I failed to get tons of photos since I was into that moment of feeling disconnected and just going with the flow. 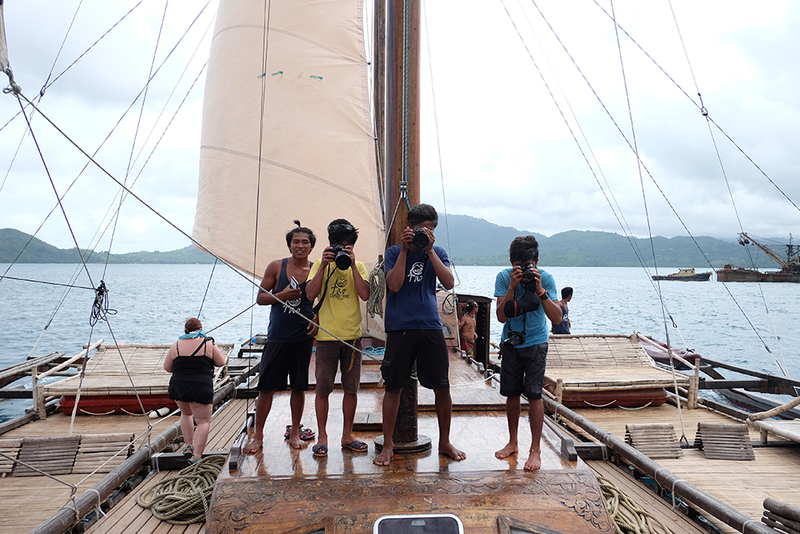 Moving on..
Before leaving, the crew allowed us to hop on the 72-ft native sailing boat which they call the Tao Paraw. It recently underwent a few repairs and refurbishing to keep it in tip-top shape for the next sailing season. Here is Gener Paduga, he is Tao's Engineer, bamboo craftsman, and captain of the paraw. 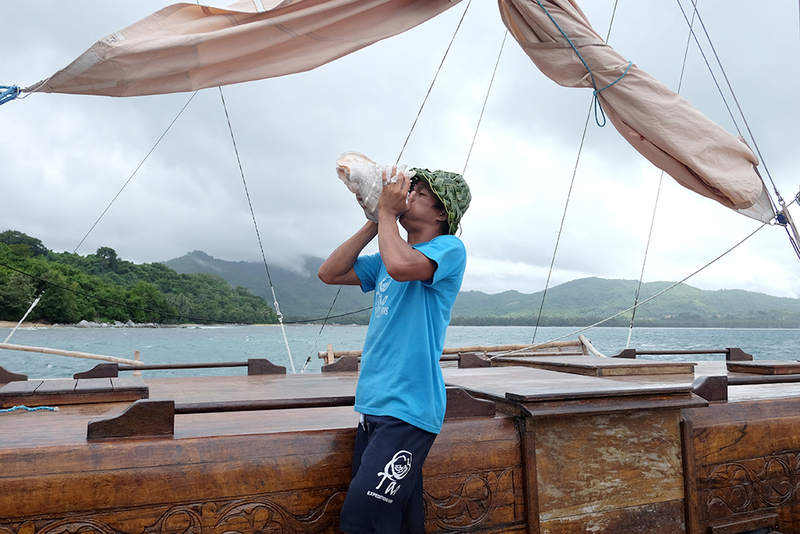 I guess one of his goals in life is to revive the lost art of native sailing in Palawan. I remember him telling me that he can go around the seas of Palawan even without a map. He knows where to go just by looking at the stars! 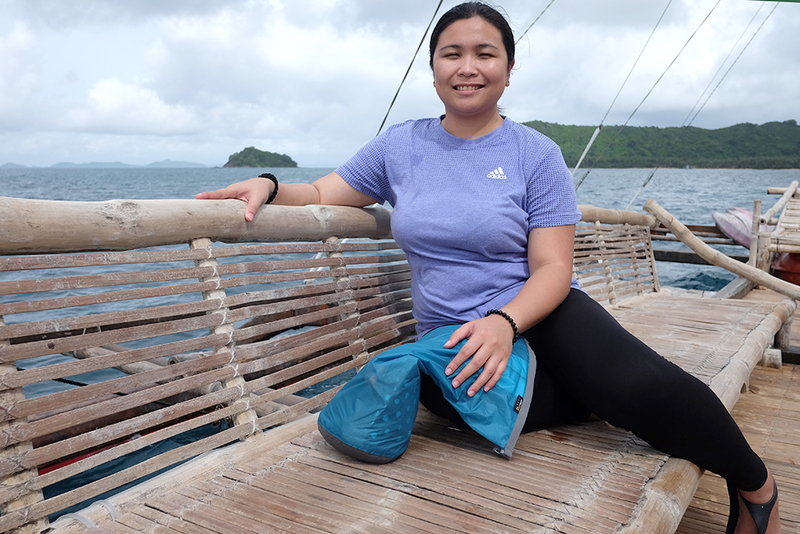 It would've been fun if we went to Linapacan Island onboard the paraw. 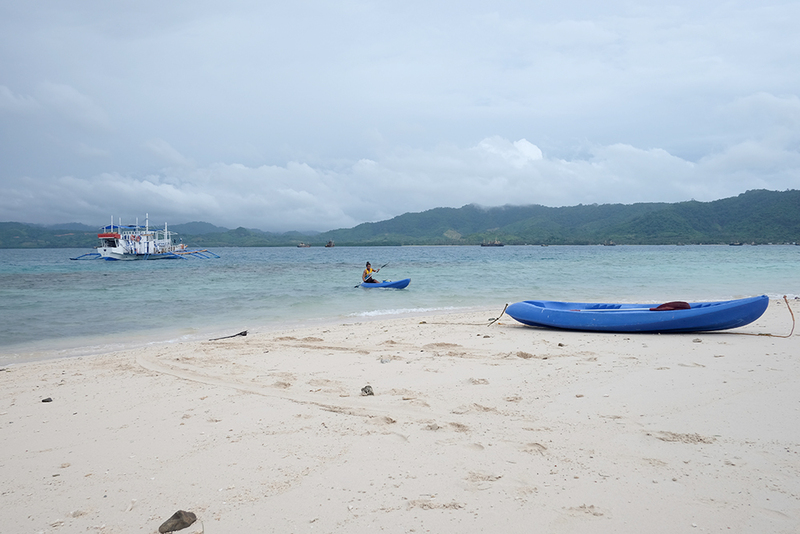 Sadly, we were allowed to sail only around Daracotan Bay since typhoon signals were up. I have a love-hate relationship when traveling with other bloggers. Why? There's just so many cameras around! Haha. I love how crew members are so used to taking pictures with a camera or dslr. If you were to ask will I do this again? Definitely! Joining Tao Philippines has got to be the best retreat if you want to take a break from everyone. It's not every day that I get a chance to reconnect with the environment and totally get disconnected with my social life online. 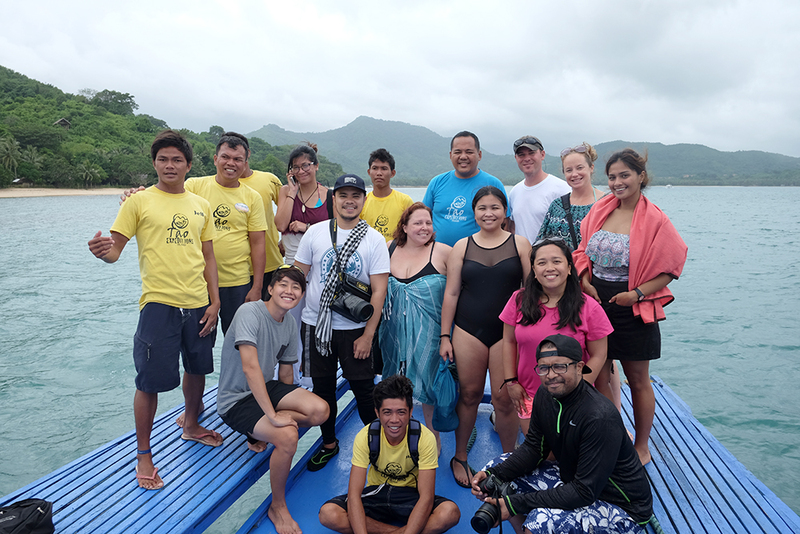 One last group pic with the crew before we go back to the town of El Nido. To be honest, it's a bit expensive (for Filipinos, obviously!) since joining fee ranges from ₱26,000-32,000 (roughly around $650) depending on the season, it does not include yet the transfers from Manila. But trust me, you get what you pay for. 25% of the company income goes straight to the environmental and social projects of the Tao Kalahi Foundation. That's a big help for the crew and the rest of the community that helped built Tao. A big thank you also to the crew and everyone behind Tao. The trip never felt like it was an expedition but more of a retreat where we get to go back to our roots. It was a good break from reality and I look forward to joining again soon. Last but not the least, thank you to all my fellow travel bloggers. It was a pleasure meeting you all in person and getting to know each and every one of you. I hope I get travel again with you all soon!